So every other year, I like to treat myself to a birthday trip. 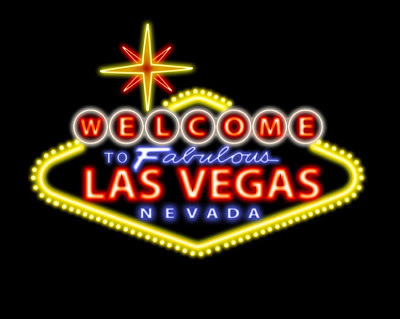 This year I wanted to return to Vegas, which I did several years back to combine my three favorite things: Vegas, my birthday and March Madness. I make a big deal of my birthday for one simple reason, my mom never threw me birthday parties. I had two birthday parties (8 and 16) growing up and both were primarily spearheaded by my aunt. We have this theory—my mom is a downright recluse with a summer birthday sired by two extreme extroverts. They used the only child of theirs with a summer birthday in Michigan as an excuse to have huge parties. So my mom sees birthdays as an annoying constant celebration. Meanwhile, her winter birthday-having siblings possess simmering resentments of these feted occasions. So she thinks birthdays are overblown. I quickly realized that having an outstanding birthday will be the result of my own efforts. This proved to be challenging over the years as I am an introvert with extroverted tendencies who tends to attract homebodies as friends. That means I have never had a successful adult party, you know the kind full of raucous people making poor decisions. I decided around age 28 to focus my birthday efforts on travel and not relieving House Party 15: The Adult Edition. This was my first stay in Mandalay Bay. Can I say my favorite thing about this hotel/casino? It smells amazing. Always. I just love it. The hardest part of Mandalay is it is the tip of the Strip. Which means walking, so much walking. In hindsight I made one major mistake with this trip. I wore new, unproved shoes. Naturalizer is my go-to shoe for almost fashionable comfy shoes but they failed me. I feel like our entire experience was limited because my feet hurt and for example, I didn’t want to walk to Bellagio to show my honey the water show. We confined many activities to the south strip. I usually gamble once and party often during my Vegas trips. I checked the websites and didn’t see many events I had to attend and deferred to my honey’s love of gambling. I am still mad though that the Ice Cube / Lil Jon show at Wynn was advertised nowhere and I only saw that it occurred the day after. That mashup is something I wanted to see! I only gamble cheaply as I like my money and set strict limits for myself. I introduced my honey to the only table game I play—roulette—after losing $80 in Blackjack in 20 minutes after being dealt several consecutive hands of 15. The worst number in Blackjack. Roulette is a game that you can play forever with $40, especially on $5 tables. It was good to us the first two days. Honey won $300 and I won $80. Betting on college basketball turned out not to be anywhere near successful because none of the teams played correctly. Eating in Vegas is always an adventure. I loved Aria’s brunch and their unlimited drink add-on was scrumptious. Planet Hollywood’s brunch was in the basement and I really wanted to see some sunlight. Otherwise, pretty good. We ate at this terrible restaurant in Caesars because I was too hungry to think straight. I paid $20 for cheese eggs, toast (no jelly available) and hash browns. I don’t eat pork so they had no meat for me to choose. In comparison, the brunch buffet at Aria is $22 and $21 at PH. Turns out they are closing the restaurant and laying off the staff for a new concept in two weeks which is why the service was so awful. I am a firm believer for breakfast/brunch, go to a buffet. It’s cheap <$25 and you can create whatever meal you want. We ate at this beautiful fancy seafood restaurant in Encore, which was just okay for my birthday. The place we wanted to go was full with a long wait. This is exactly how we ended up at Caesars. The last day we went to Fremont Street which is so much awesome and fun fact—had the world’s oldest Tupac imposter. Seriously dude was in his late 40’s and Tupac died at 25. We ate so cheaply there that it renewed my anger at Caesar’s all over again. As for the shows…We saw Cirque du Soleil One based on the music of Michael Jackson. It was phenomenal. I did expect more acrobatics as it focused more on dancing, but it was glorious. Plus I got to sing along. Amazingly, it primarily focused on songs from HIStory, Bad and Thriller. I mean what would be a more perfect Cirque du Soleil song than Off the Wall. I feel like that was a missed opportunity for some daredevil theatrics. We also saw the Jabbawockeez. I had never heard of them, nor do I watch America’s Best Dance Crew but I truly enjoyed the show, especially the audience participation parts.